2017 Rochester Cyclocross Preview - UCI Racing Starts in U.S.
After months of #crossiscoming hashtags and getting tubulars glued, cyclocross season is finally here. The 43-race Pro CX schedule kicks off this weekend in Rochester, New York, with the Rochester Cyclocross weekend that features a C1 race on Saturday and C2 race on Sunday. The Rochester race was first granted UCI status in 2010 and has been the U.S. UCI kick-off since 2015. Last year the event moved from Ellison Park to the current location at Genesee Valley Park to better accommodate the growing race, and the event will again be held at the park located just outside the city of Rochester in 2017. 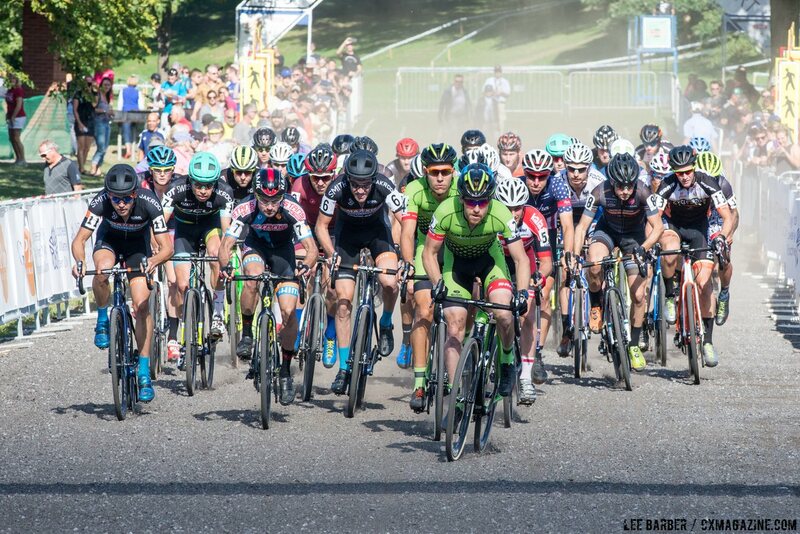 With the Jingle Cross and Waterloo World Cups looming large on the schedule, Rochester is the one chance for U.S. riders to get a UCI tune-up in ahead of those important races. Not surprisingly, the fields for both the Women’s and Men’s races are impressive. Last year’s winners Jeremy Powers and Jeremy Powers will be looking to repeat in the Men’s races and Kaitlin Keough (née Antonneau) and Caroline Mani will be looking to match their 2016 victories for the Women. On the Women’s side, some riders who caught our eye include top ten finishers from Nationals including Kaitlin Keough, Crystal Anthony, Arley Kemmerer and Rebecca Fahringer. National champions lining up will include defending U23 national champion Ellen Noble—who will be racing in her first race as an Elite—French national champion Caroline Mani, Junior 15-16 national champion Katie Clouse and collegiate national champion Emily Shields. 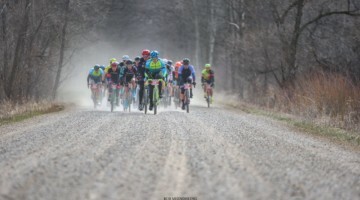 Other riders of note include home-state favorite Emma White, Maghalie Rochette and Laurel Rathbun, who is returning to the cyclocross course after an injury ended her season early last year. 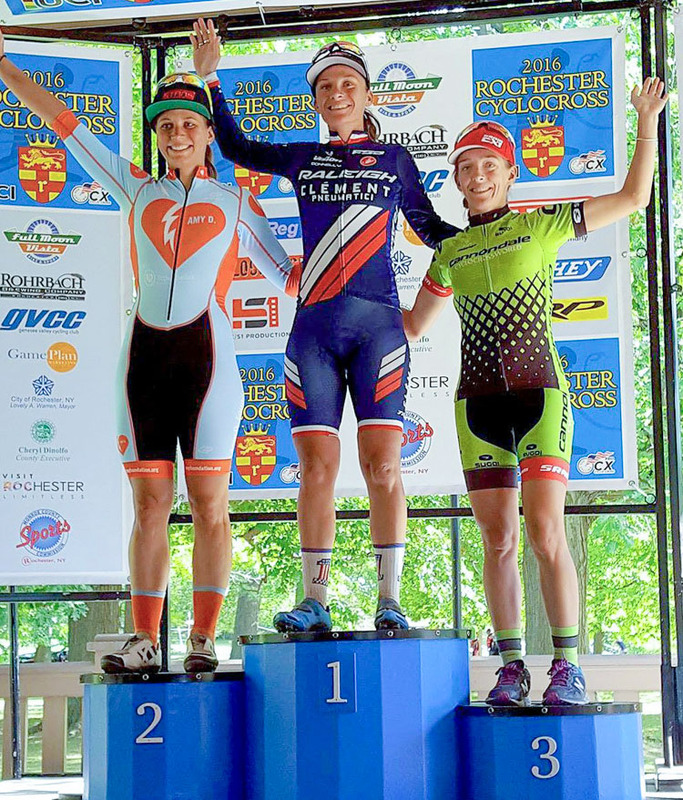 Fahringer, Mani and Antonneau (l to r) were the Rochester 2016 Day 2 podium. For the Men, defending national champion Stephen Hyde will be racing for the first time in his stars-and-stripes jersey. Rob Peeters will be adding some Belgian style to the field, making the trip over from Europe ahead of the World Cups. Top ten finishers from Nationals signed up include Jamey Driscoll, Kerry Werner, Jack Kisseberth and Tobin Ortenblad. Curtis White will be racing his first race as an Elite rider, and U23 national champion Lance Haidet, U23 runner-up Gage Hecht and U23 fourth-place finisher Brannan Fix will be adding young talent to the field. Finally, new dad Jeremy Powers will be looking to return to the form that won him three straight national championships from 2014 to 2016. Start lists are at the end of this preview. 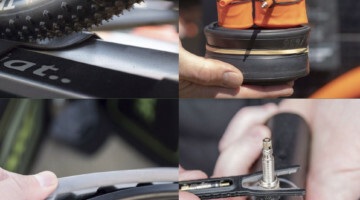 The start of any cyclocross season is always exciting and filled with unknowns. 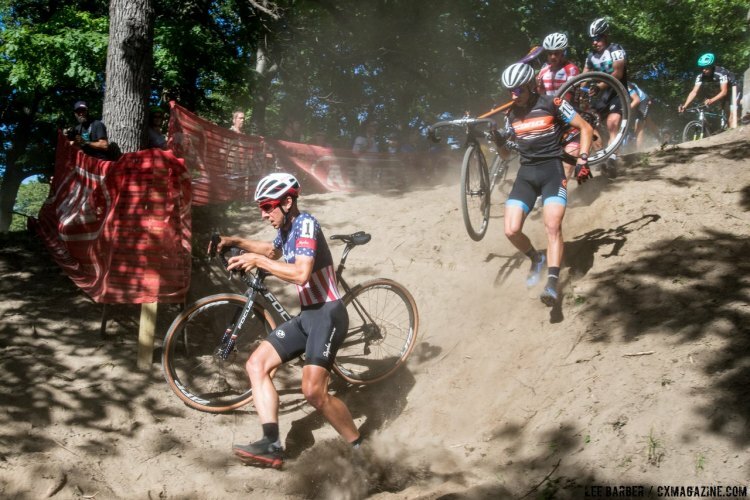 Riders have been mountain biking, road racing, gravel riding and BMXing their way through the summer, but until the whistle blows for the first race, no one knows how the training will translate to the cyclocross course. Here are a few of the storylines we will be watching in Rochester. Is Jeremy Powers healthy again? Four-time national champion Jeremy Powers had a tough year in 2016/17 after hurting his ribs in a crash at the Trek CXC Cup. 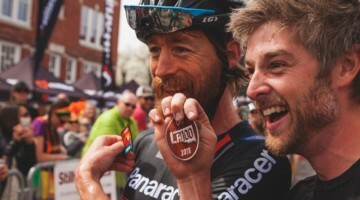 Although he had some nice results, he was never able to return to the form that drove him to victories in 21 of the 24 domestic cyclocross races he entered during the 2014 and 2015 calendar years. Powers has had time to recover and enjoy the experience of being a new dad, and this weekend, we will be watching to see if he can again consistently race at the front of the U.S. cyclocross peloton. Is Caroline Mani back on form? Cyclocross Magazine has documented Caroline Mani’s roller-coaster summer. She finally found a home on the Van Dessel Factory Racing team and is ready to return to focusing on racing. Mani had a strong start to the 2016/17 season and won French Nationals at the end of the season, so she will be looking to return to that form when she toes the line in Rochester, where she has had success in the past. 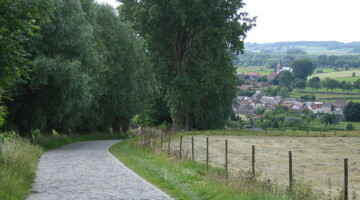 Can Peeters continue Belgian success? The Belgians had a successful trip to China, with Joyce Vanderbeken and Yorben Van Tichelt winning both days of the Qiansen Trophy. Belgian Rob Peeters is the only European registered for the race in Rochester, and Hyde, Driscoll, Powers and company will be looking to defend their home turf against their guest ahead of the World Cup. Hyde finished one spot ahead of Peeters on Day 3 of Jingle Cross in 2016, and on paper—according to crossresults.com—the two are evenly matched, so fans could be in for a great battle. What new tricks did Ellen Noble and Emma White learn on the road this summer? Last winter, we covered the friendly rivalry between young stars Ellen Noble and Emma White. Noble got the best of the duel at Nationals and then finished second at Worlds in a barnburner of a race against Annemarie Worst. The rivalry between Noble and White continued on the road this summer when Noble opted to forgo her mountain bike and race road as a member of the Colavita/Bianchi USA team and White traded her Cannondale green for Rally Cycling orange. We saw the two go head to head at the North Star Grand Prix, where they both grabbed podium spots in the criteriums. Both riders are from the East Coast, so Rochester is just the first of the many times we will see the young stars compete this year. Will the young riders make their mark? The Men’s U23 race at Hartford Nationals was probably the best race of the entire week, with the outcome not decided until the last 200 meters. Three of the top four finishers from Hartford will be in Rochester. Lance Haidet will be looking to defend his stars-and-stripes jersey throughout the season while Gage Hecht, Brannan Fix and Spencer Petrov will all be looking to not only get bragging rights but also compete for a top five finish in Rochester. With so much talent in the U23 field, it should be an entertaining season watching these young men compete with one another. On the Women’s U23 side, Laurel Rathbun is making her return to cyclocross after missing Nationals with an injury and five-time Junior national champion Katie Clouse will also be looking to make some noise in Rochester as she enters the 17-18 age group this season. 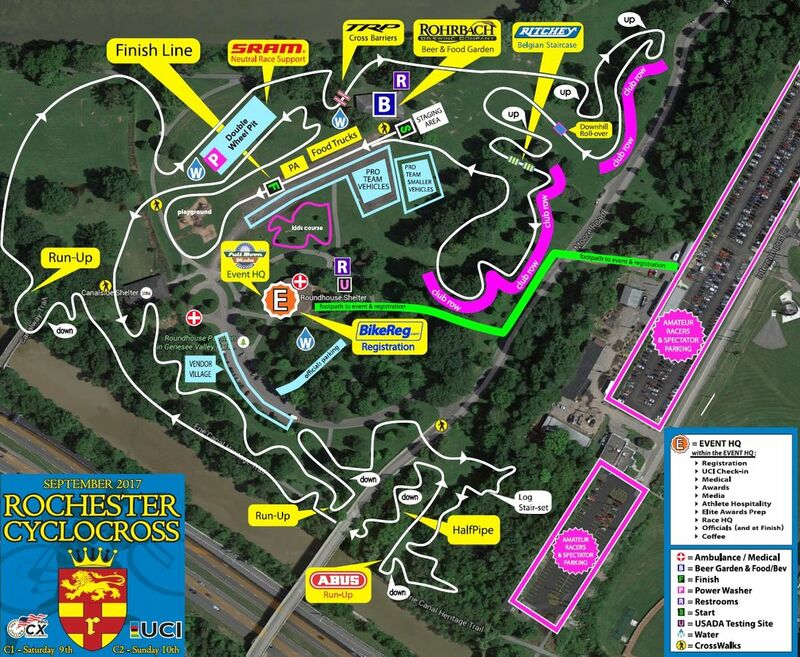 Last year, Cyclocross Magazine featured a preview of the Rochester course. 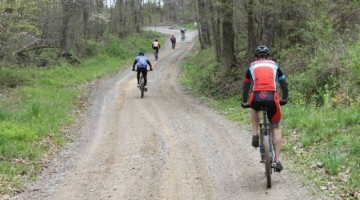 For this year’s course and race preview, we are going straight to the source. FloCycling put together this video from 2016 that shows some of the course features riders can expect in 2017 and adds a nice soundtrack to get fans fired up for the start of cyclocross season. The Rochester Cyclocross event is put on by Full Moon Vista Bike & Sport and Race Director Shana Lydon was a generous contributor of information for this preview.